Display your messages boldly and easily with these 1 1/2 x 4" - "Glass - Handle With Care" Labels. 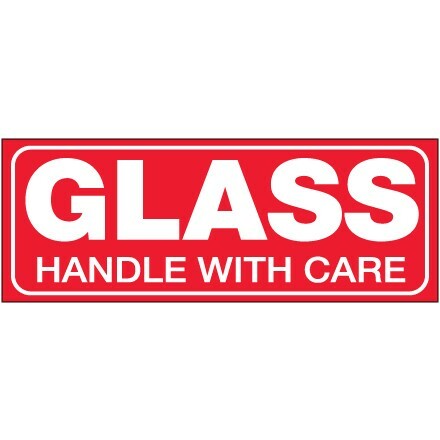 1 1/2" x 4" - "Glass - Handle With Care" Labels. Boldly display instructions and warnings with pressure sensitive labels. Table top dispensers available stock numbers SL9506, SL9512 and SL9518. Wall Mount dispensers available stock numbers LDM300, LDM450, LDM850 and LDM1250.